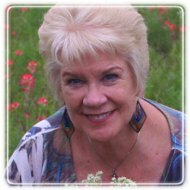 San Antonio Therapist: Pamela King - Therapist 78232. Session Fees: Private pay - $130.00/Intake, $110.00/session (60 minutes). Credit Card, Cash or check. I take Blue Cross Blue Shield insurance. for every couple, and we will work together to get you to a place where you feel confident in moving forward together, knowing that you can face any problem that confronts you – together. to have a relationship where you can talk about EVERYTHING, and feel respected, valued and loved, even when you disagree. With EFT, I will help you delve into how you feel when things do not go well, and then help you to understand the feelings that drive you and your partner's behavior. When we deal with the underlying feelings that are going on and bring those feelings up into the open, I find that trust and intimacy naturally follow. Even if trust has been destroyed by infidelity or addiction, trust CAN be rebuilt. It will take time and it will be difficult, and there are specific steps that need to be taken for trust to be rebuilt, but I have watched many couples and families do just that. ability to embrace your day! I am a Christian, and if you are interested in faith-based Christian counseling, it would be my delight to walk with you using the Bible as our guide. I want to help. I am a member of the American Association of Marriage and Family Therapists, the American Association of Christian Counselors, and the International Centre for Excellence in Emotionally Focused Therapy. I received my BA in Religion and received my Masters in Marriage and Family Therapy in a program focusing on psychology, spirituality and Christianity.